Dr. Anju Mathur, arguably the best thyroid doctor in Los Angeles, utilizes several Functional and Holistic healing modalities to help men and women suffering from thyroid disorders. While thyroid disorders can occur for a number of different reasons, Dr. Mathur has expertise in pinpointing triggers of thyroid issues and performing the necessary tests to reduce the effects of thyroid imbalances. Typically, thyroid imbalances occur due to imbalances with thyroid hormone, and Dr. Mathur can help patients determine latent imbalances and which therapies would be most beneficial in treating their specific conditions. Using an all inclusive and comprehensive program, Dr. Mathur has been able to help numerous men and women suffering from thyroid problems. The thyroid is a gland located below the Adam’s apple and above the neck. The thyroid is part of the endocrine system, which releases hormones responsible for regulating the body’s metabolism including heart rate and how fast the body burns calories. The thyroid gland works to synthesize energy from proteins, carbohydrates, and fats and helps the body regulate energy and heat production. There are many different types of thyroid disorders: hyperthyroidism, hypothyroidism, thyroid cancer, goiter, and thyroid nodules. Hyperthyroidism is a condition in which the thyroid produces more thyroid hormones than the body needs and Grave’s disease (production of too much thyroid hormone) is the leading cause of hyperthyroidism. Symptoms include nervousness or irritability, mood swings, fatigue or muscle weakness, heat intolerance, trouble sleeping, hand tremors, rapid and irregular heartbeat, frequent bowel movements or diarrhea, weight loss, and goiter (enlarged or swollen thyroid gland). This disorder is most common in women, those over 60, and those with other thyroid disorders are also more likely to develop hyperthyroidism. A blood test which measures TSH, T4, T3, Free T4 and free T3, as well as Thyroid antibodies and reverses T3 are usually done for a thyroid status evaluation. Basal Body temperature according to Broda Barnes, MD is a useful indicator of thyroid status of a person. Dr. Broda Barnes, a physician way ahead of his time, found over 50 years ago that the body basal temperature was a good indicator of thyroid activity. In particular, the body temperature on rising from sleep. He wrote a book about thyroid activity and the various ills and problems arising from low (hypo) thyroid activity. This test is done at home. There are many reasons or causes underlying the condition of hyperthyroidism. Commonly, Graves’ disease, Thyroid nodules, benign thyroid tumors or even some medications can cause hyperthyroidism. Post-partum thyroiditis is also seen. Graves’s disease is an autoimmune disorder which is a systemic problem not a localized issue, in this case: thyroid gland. We try to uncover the basic underlying causes that may contribute to this autoimmune condition. We use cutting edge laboratory testing as well as a clinical picture to find out more about your immune system, including the gut barrier and permeability, food allergies and other coexistent nutritional deficiencies. This helps personalize each patient’s treatment. There is Hope… We CAN HELP! At Angel Longevity Medical Center, our thyroid specialist in Los Angeles has a cutting edge integrative approach to this condition. Standard conventional treatment for Hyperthyroidism is the use of prescription drugs called Anti-Thyroid drugs as well as beta blockers to control symptoms. Often surgery to remove the overactive thyroid gland is recommended or radioactive iodine treatment (which often causes hypothyroidism, also known as underactive thyroid). This approach of surgery or radioactive iodine causes a high risk of hypothyroidism and the start of a vicious thyroid-disorder cycle. Less conventional treatments include nutritional supplementation such as selenium or iodine and botanicals such as bugleweed and motherwort which can regulate thyroid function and alleviate symptoms without a lifetime of prescription medications. Also, dietary handlings, such as a trial of total elimination of all gluten/gliadin grains, milk and dairy products to heal gut permeability may be very worthwhile, since Graves’ disease is an HLA-B8 autoimmune disease. We also support immune system dysfunction using targeted nutrients or IV therapy to stimulate the immune system in the right direction of balancing pro-inflammatory and anti-inflammatory pathways of the immune system. Hypothyroidism is a condition in which the thyroid does not produce enough thyroid hormone to keep up with the needs of the body, with Hashimoto’s disease, an autoimmune disease, being the most common cause. Hashimoto’s disease occurs when the immune system attacks the thyroid until it can no longer produce hormones. This disorder is most common in women, those over 60, and those with other thyroid disorders are also more likely to develop hypothyroidism. But because the symptoms of hypothyroidism are so varied, the condition can often go undiagnosed. Patients with hypothyroidism will experience at least one of these symptoms, but often a combination of several will be present. The intensity of the symptoms can vary as well, depending on the severity and duration of the condition. Occasionally, some patients with hypothyroidism have no symptoms at all, or the symptoms are so subtle that they go unnoticed. Why Do I have Hypothyroidism? Starvation or yo-yo dieting can be the culprit in younger patients. Diabetics can also have low thyroid function. Even nasty chemicals in our curtains, bedding, mattress or carpets have a profound effect upon our glands. In fact, researchers say that perfluorinated compounds (PFCs), chemicals commonly found in carpeting, fabrics, cosmetics, paper coatings, and dozens of other household goods, may be causing permanent damage to your thyroid, leaving you sicker, more tired, and more depressed than ever. Taiwanese researchers learned that high PFC levels can significantly alter your thyroid function. They can even boost the risk of hypothyroidism in women, leading to nasty symptoms including fatigue, depression, obesity, dry skin and hair, constipation, and irregular menstruation. Or it could simply be that the aging process itself causes hypothyroidism, especially in women older than 60 years. I don’t feel well…..But I have been told my thyroid is normal. All the classic symptoms of thyroid disorder are there… You are tired, weak, achy, cold, depressed, and put on weight that you just can’t seem to lose no matter what you do. The constipation and dry itchy skin certainly aren’t helping either. But when your doctor sent you for lab tests for the most likely culprit – a weak thyroid – your tests came back normal. Normal or not, you still don’t feel well… Despite what they tell you. These thyroid function tests usually measure thyroid stimulating hormone (TSH, produced by the pituitary gland) and thyroid hormone output (usually called thyroxine or T4, which contains four iodide molecules, and tri-iodothyronine, or T3, which contains three). T4 is considerably less active than T3. Many scientific studies have shown TSH to be an unreliable indicator of thyroid function. Free T3 and free T4 check for a metabolically active fraction of thyroid hormones and are more reliable predictor of thyroid status. Moreover, one can check for thyroid antibodies, thyroglobulin antibodies and thyroid peroxidase antibodies, as well as reverse T3, which is a bad version of T3 hormone or a mirror image of T3. Reverse T3 (rT3) is actually exactly what it sounds like: The “reversed” mirror image of free T3, the most active form of thyroid hormone. Since it’s “flipped around,” it doesn’t fit into the thyroid receptors meant for free T3. And since it can’t get into those receptors, it ends up “milling around” outside of them, blocking the actual T3 from getting where it needs to go in the process. So thyroid blood tests may show that your body has plenty of free T3. The problem is, it can’t do its job because the rT3 is standing in its way. It’s the worst of both worlds: All the symptoms of hypothyroidism, but tests that say there’s nothing wrong. Since thyroid hormones regulate many key functions of the body, levels in the blood do not always reflect what is going on in the tissues. Many scientific studies have shown TSH to be an unreliable indicator of thyroid function. The actual thyroid status at the cellular level is indicated basal metabolic rate (BMR), which can better help assess thyroid. Among other methods, one of the simple and reliable ways is to check your basal body temperature. 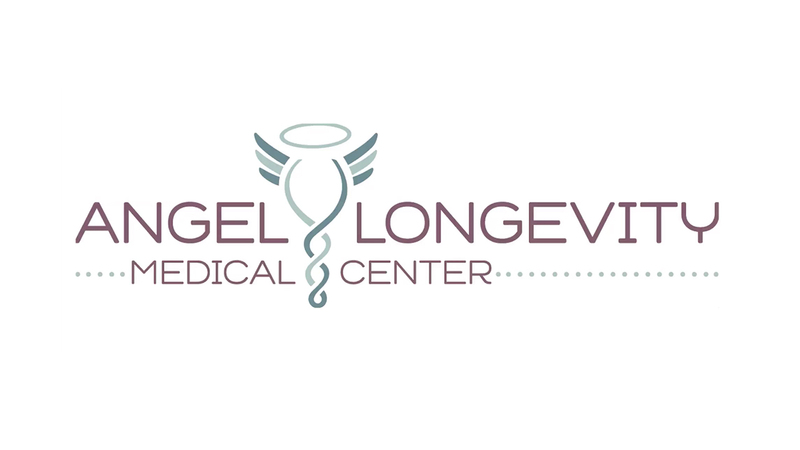 At Angel Longevity Medical Center all of these tests are part of your initial thyroid evaluation and are performed by arguably the best thyroid doctor in Los Angeles. We put all these indicators together to get a good view of your actual thyroid status and formulate a personalized treatment plan for You. No two cases of Thyroid Disorder are alike, which is why no two treatments should be alike. If you need to optimize thyroid hormones, there are many forms of bio identical thyroid hormones- compounded T4 & T3 or bio-identical T3 or whole thyroid bovine extract available. There are also many herbal extracts which help boost the thyroid gland as well, which we use in our practice frequently to naturally boost thyroid hormones. If your rT3 is elevated, it is almost always caused by toxic metal accumulation or by continuous dieting or starvation. That’s right, not only starvation, but also lead, mercury, cadmium, and other toxic metals distort the normal flow of thyroid hormones, causing excess rT3 to be produced. We’ve found that when we eliminate those toxic metals, not only do the patients’ rT3 levels go back to normal, but those nagging hypothyroid symptoms go away in the process – without ever requiring supplemental thyroid hormone. Low levels of iodine have a very noticeable effect on thyroid function. Too much synthetic fluorine (toxic industrial waste i.e. Fluorosilicic acid and not natural friendly calcium fluoride) in fluoridated water containing levels 1.6 to 6.6 milligrams per day in our tap water, dental floss, toothpaste or swimming pool, along with low iodine can competitively inhibit iodine in thyroid gland, thus leading to low thyroid function. The illness can differ in several different ways amongst patients. Therapies that are a part of San Fernando Valley Thyroid Disorder specialist, Dr. Mathur’s Back to Wellness Program, such as IV Nutrient Therapy can allow the body to get the nutrition it needs to support a healthy immune system and improve Thyroid gland function. Chelation Therapy can also help to detoxify the body, which may improve immune system function and organ health. Bio-identical Hormone Replacement Therapy can help people with hypothyroidism to replace deficient thyroid hormone with a version that is identical to what is produced in the human body. As a well known thyroid specialist in Los Angeles, Dr. Anju Mathur has helped countless men and women with thyroid disorders to improve their overall health and levels of wellness. If you would like to learn how to overcome your symptoms, regain energy and vitality, and improve your overall quality of life, please call Los Angeles Thyroid specialist, Dr. Anju Mathur at 818-930-5706.